고려 충렬왕 13년(1287)에 이승휴(1224∼1300)가 쓴 역사시(歷史詩)로 상·하 양권 1책으로 되어 있다. 이승휴는 고려의 문신으로, 1252년 문과에 급제한 후 합문지후, 감찰어사 등을 거쳐 우정언, 우사간 등의 벼슬을 거쳤다. 장리 7명의 죄를 물어 재산을 몰수한 후 그들의 원한을 사 동주부사로 좌천된 후에는 스스로를 동안거사라 부르기도 하였다. 상권은 중국의 역사를 신화시대부터 삼황오제, 하(夏), 은(殷), 주(周)의 3대와 진(秦), 한(漢) 등을 거쳐 원(元)에 이르기까지 칠언시 264구로 엮었다. 하권은 우리나라의 역사를 2부로 나누어 ‘동국군왕개구연대’와 ‘이조군왕세계연대’로 편찬하였는데, 지리기(地理記) 및 상고사(上古史)는 칠언시로 하고 고려시대의 것은 오언시로 엮어 편찬하였다. 이 책의 상권 제18장과 하권 제6장, 8장, 16장이 빠져 있어서 손으로 써 넣었으며, 곽영대 씨가 소장하고 있는 본과 동시에 인출된 것으로 보인다. 『제왕운기』는 이규보를 비롯하여 당대 새롭게 등장한 지식인들이 갖고 있었던 역사의식을 보여주는 귀중한 자료이다. 같은 시대 이규보의 「동명왕편」, 「역대가」와 함께 장가체의 설화적 가사로 국문학상의 가치가 높이 평가되고 있으며, 서지학적으로 매우 귀중한 자료로 평가된다. 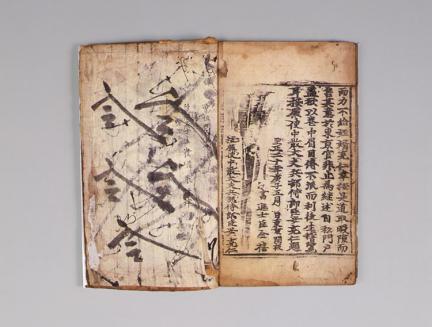 This two-volume book is a collection of the historical poems written by Yi Seung-hyu in 1287 (13th year of the reign of King Chungnyeol of the Goryeo Dynasty). 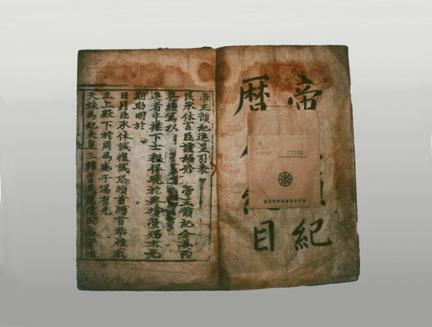 The first volume includes 264 heptasyllabic Chinese poems about Chinese history from the legendary age to the Yuan Dynasty, whereas the second volume deals with Korean history. Some poems about the ancient history of Korea and geographical record are poems with heptasyllabic lines, whereas some poems dealing with the history of the Goryeo Dynasty are pentasyllabic poems. 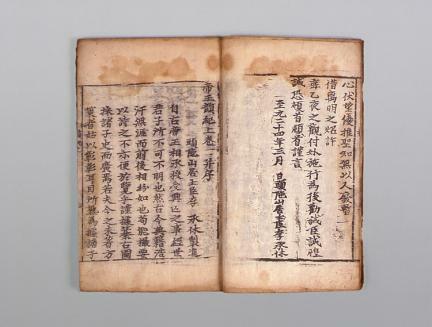 Chapter 18 of the first volume and Chapters 6, 8, and 16 of the second volume are lost, so they are replaced by handwritten manuscripts. This book is regarded as valuable data for bibliographic research.